The Vikings, under the direction of Mr. Kurt Prey, defeated 12 other teams to take 1st place in the speed race, 1st place in the endurance race, and 2nd place for their presentation. This gave them the overall victory, congratulations team! The STEM team also captured 1st and 3rd place in the year long STEM tour, sponsored by the Chamber of Commerce. 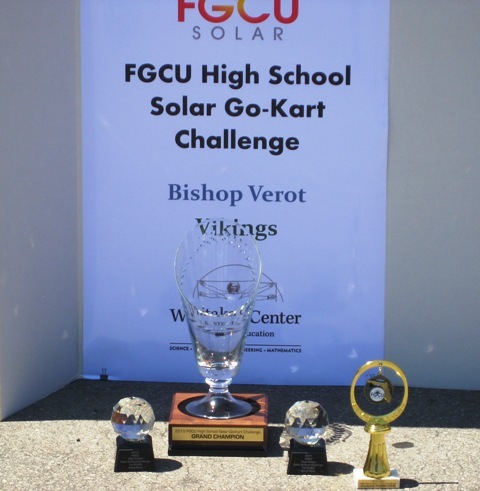 This is the second year in a row Bishop Verot's STEM team has taken this honor.